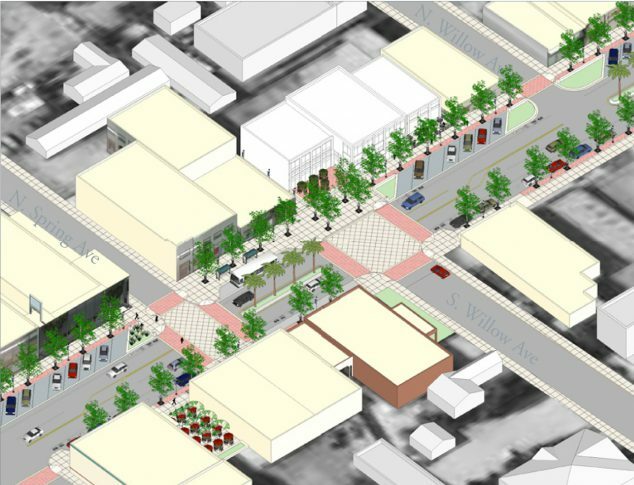 The Compton Boulevard Streetscape Master Plan and Compton Urban Design Guidelines are two projects that work together to create a new vision for Downtown Compton and major streets and nodes through out the city. 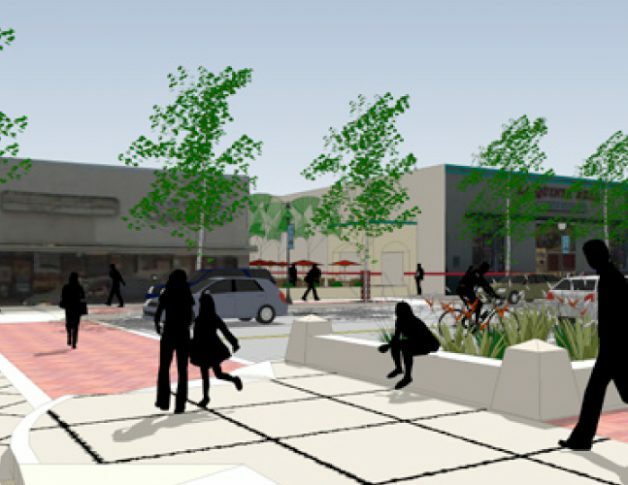 The Compton Urban Design Guidelines sets up a framework for development to enhance the pedestrian environment and increase pedestrian safety with a set of development guidelines that include Site Planning, Streetscape Character, Architectural Character, and Facade Design. 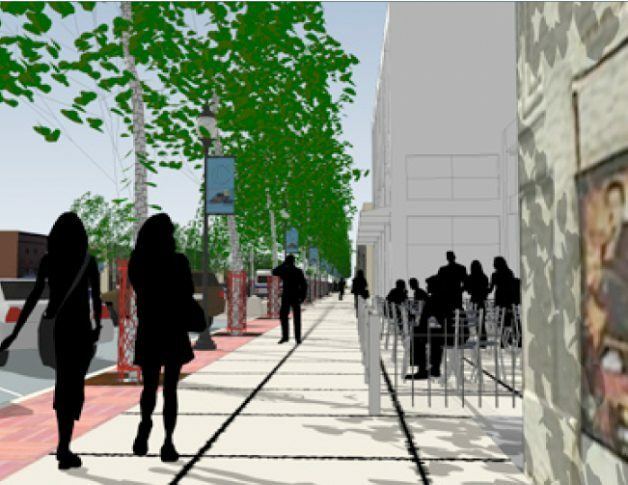 The Facade Design portion also set up guidelines for a Facade Improvement District in the downtown area and along Compton Boulevard. 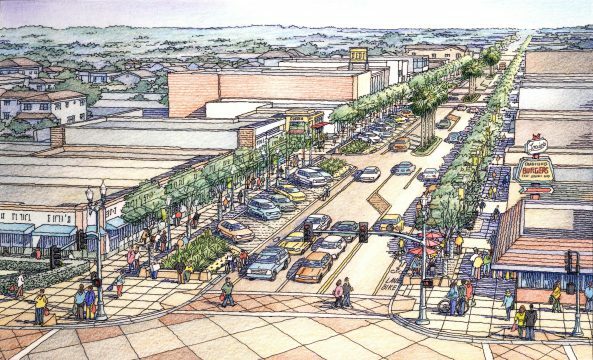 The UD Guidelines included four case studies of major intersections and showed how the guidelines would be implemented and their impact on future development. 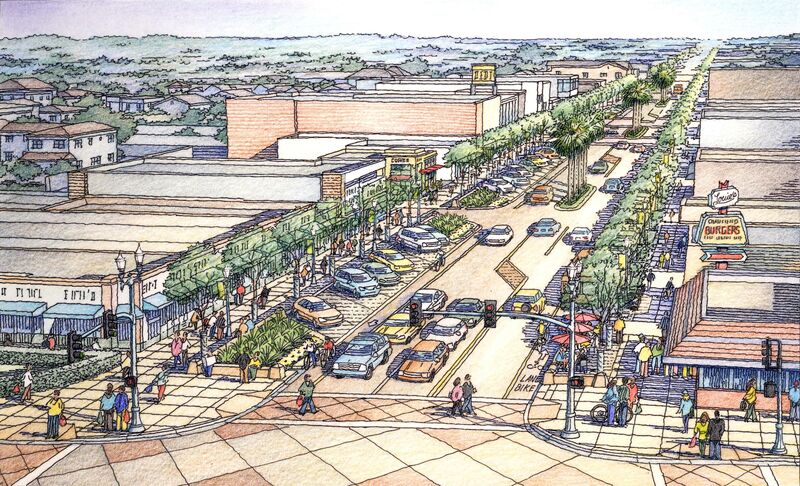 The Compton Boulevard Streetscape Master Plan set up an implementation plan and schematic design for the transformation of Compton Boulevard into a thriving pedestrian focused “main street.” The plan reduced lanes, widened sidewalks, added diagonal parking, bike lanes, and other pedestrian amenities, and included innovative stormwater management strategies including bio-swales and permeable paving.